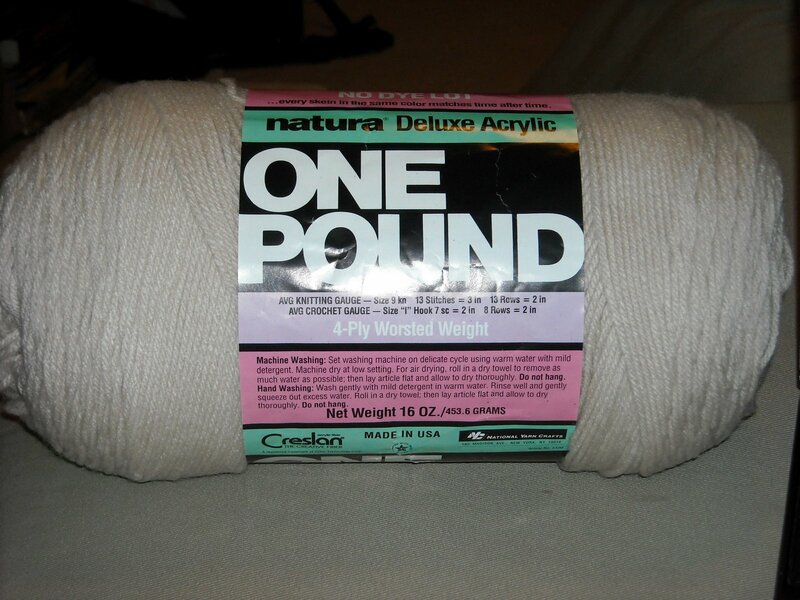 What’s better than an entire pound of yarn? Not much, honestly. I’m making a memorial pillow for my in-laws for the loss of Lady. I’m not going to post any more photos until I’m done, but below is the start of the first side. Sorry for the crappy lighting; it was already dark outside when I started taking pictures. It’s been not the greatest of days, to be truthful. I’ve spent too much time today being sad over what I lack rather than remembering how much I’m blessed. I need a little freedom right now; I’d really like for Joey and I to go camping or something…just get out in the quiet and forget about all of the “stuff” that fills up everyday life. There’s just so much of it.